“We know that ecotourism is increasing on a global scale, with visitor numbers to many protected areas expanding each year. We also know that such activities can have negative as well as positive impacts,” said Professor Buckley, Griffith’s International Chair in Ecotourism Research. Population viability models are widely used in practical wildlife management. They estimate cumulative population changes by simulating births and deaths iteratively, one generation at a time. Final predictions are based on thousands of repeated simulations. The Griffith scientists used the models to calculate future population changes for nine threatened species for which data exists — the orangutan, hoolock gibbon, golden lion tamarin, cheetah, African wild dog, New Zealand sealion, African penguin, great green macaw and Egyptian vulture. “We converted all ecotourism effects — positive and negative — to ecological parameters and found that for seven of the species involved, ecotourism provides net conservation gains through factors such as private reserves, habitat restoration, reduction in habitat damage, removal of feral predators, anti-poaching measures or captive breeding and food supplementation,” said Professor Buckley. Dr Castley, from Griffith’s Environmental Futures Research Institute, said the research demonstrates how the net effects of tourism differ among species and sub-populations and that these effects are influenced by local circumstances. “For example, they depend on the scale and intensity of ecotourism, the size of initial populations, rates of predation and on the impacts of other industries such as fishing and logging,” he said. 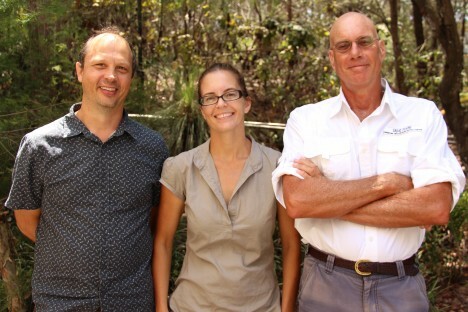 Griffith School of Environment‘s Dr Morrison said the research confirms that ecotourism is not always successful. “In a few cases, this can have a net negative effect on threatened species,” she said.